Corporations, hire a coach locally! You are here: Home / Corporations, hire a coach locally! Our professional coaches are at your service, nationwide. TurnKey Coaching & Development Solutions promises and delivers the finest quality professional coaching services throughout the whole US. In order to maintain this top-notch standard of excellence and to meet our quality commitments to our customers, we use only coaches who demonstrate excellent coaching ability and the highest integrity. 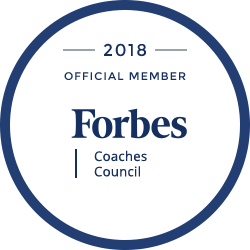 In addition to years of coaching experience, extensive training, and serious credentials, our coaches have decades of senior level business leadership experience. They are experts in unleashing the potential of already powerful executives, facilitating successful growth and development, even at the highest corporate levels. Meet some of our exceptional executive coaches. executive coaching and leadership development service locations, full list of cities. Main locations include: Houston (TX), Dallas (TX), Tampa (FL), Seattle (WA), Los Angeles (CA), Chicago (IL), Philadelphia (PA).